Learn about David Arthur Copson here! The microwave oven was developed after W.W.II in order to beat swords into plowshares. Perhaps the engineer who is best known for birthing the idea of using microwaves to prepare food was Percy Spencer, of the Raytheon Company, located in Waltham Massachusetts. Many non-engineers have the perception that a lone inventor goes into a lab for a few months or years, and creates an invention like the automobile or the cell phone by himself. That is almost never the case. Multiple contributors, performing hard work as a team or as individuals, slowly evolve an idea into a product that every once in a while changes the world. Like most other breakthroughs, the microwave oven was a group effort and did not happen overnight. Also, we refer to The Creative Ordeal, The Story of Raytheon, by Otto J. Scott, published in 1974. This book commemorates the 50th anniversary of the Raytheon Company. Readers should be aware that such autobiographical efforts contain a wealth of information but have been put through a corporate filter, and can often distort the truth either by omission of details, politics, or simple corporate favoritism. Spencer's thoughts turned to heating food; legend has it that a candy bar melted in his pocket from stray radiation. However, he could not have been thinking of a consumer application, as the high cost of microwave equipment would prevent widespread home use. Raytheon was not alone in looking at heating applications, General Electric reported on equipment that would thaw and heat frozen meals in a restaurant, using ~1 GHz energy (see Osepchuk). Spencer's original US patent 2,495,429, Method of Treating Foodstuffs, was filed October 8, 1945 and granted on January 24, 1950. In this patent he points out the choice of frequency which provides high heating efficiency, the size of the cavity, and some superfluous details on the magnetron oscillator itself. He envisioned a conveyor belt for parading the food into the cavity, no mention of safety, or how the radiation might be enclosed or how the food might enter the cavity (like a door). 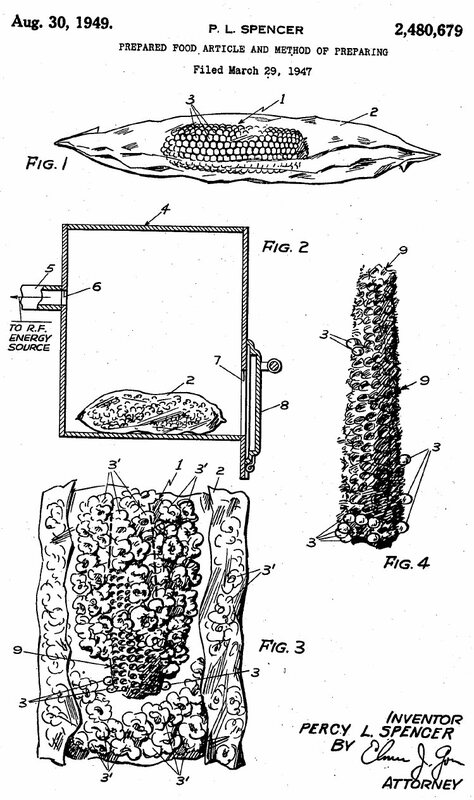 In a second patent 2,480,679 Spencer shows the now-ubiquitous use of microwaves to pop popcorn. 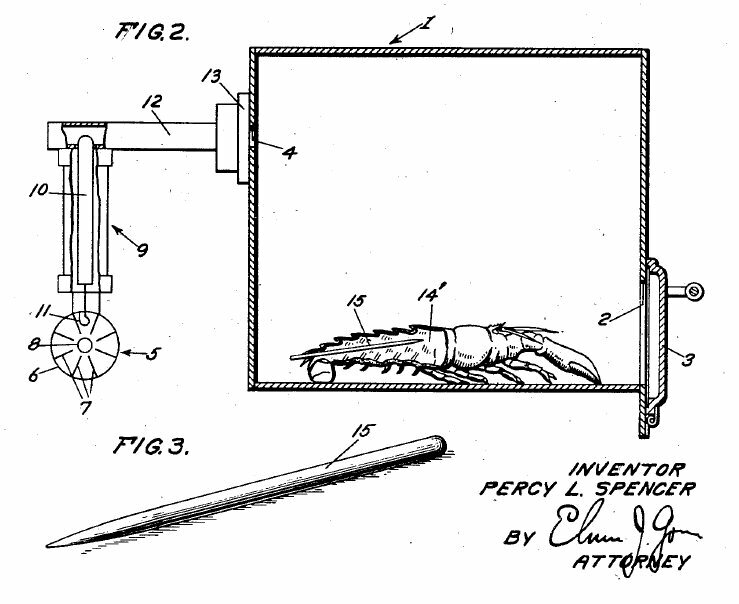 In a later patent 2,540,036, filed March 26, 1948, and granted January 30, 1951, entitled "Food Cooking", Spencer discusses how you might "broil" a lobster in a microwave oven, by violating said lobster with a "pencil like rod", in order so that its tail doesn't curl up which would make harder to cook. Yikes! The FCC was petitioned by Raytheon and General Electric, who each wanted to propose a frequency for their own work. Thus two frequencies were allocated, 915 +/-25 MHz and 2450 +/-50 MHz. To this day these are the Industrial/Scientific/Medical bands, and billions of cell phones and other wireless devices all communicate within them in the United States and elsewhere. And, of course, billions of meals are prepared each day using 2.45 GHz electromagnetic radiation. The Creative Ordeal credits Lawrence Marshall and Fritz Gross with some of the early work on the "Radarange". Radarange was chosen for the product in an employee competition, combining the words radar and range. (Why they didn't add a "y" to create "Raydarange" to acknowledge the Raytheon company is a mystery to me... - UE). UPDATE: Faithful reader Ed wrote in to report that they DID have a "y" in the design prototypes, as shown in this picture from 1946. Want more pictures like this? Check out the article by Evan Ackerman over at the IEEE Spectrum site. Marshall was president of the company, so it is safe to say his main contribution was leadership; knowing that this was a project worthy of financial support during tough times. Fritz Gross was chief engineer of the Equipment Division. However, the two often met after hours in the laboratory to experiment with oven concepts. At one point they coupled a magnetron to a galvanized trash can, and used the apparatus to heat water. Later they had a cabinet built, and performed cooking experiments with gingerbread mix (just beginning to appear in stores), the smell was everywhere. The Creative Ordeal also mentions Sam Hathaway (helped refine the design), John Dawson (supervisor of oven and control circuit development) and G.E.M. Bartram (production). 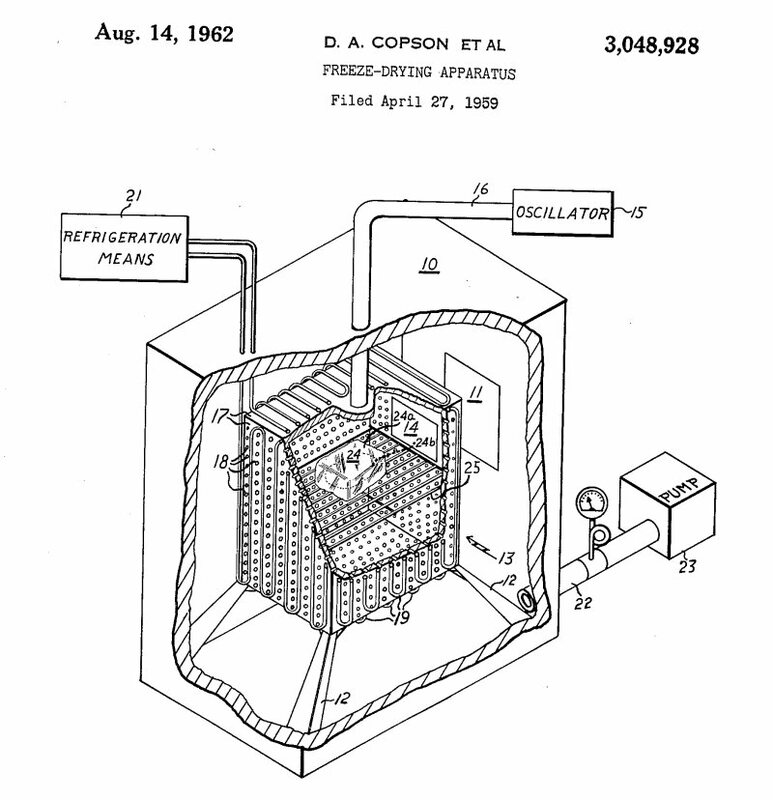 Dawson did receive one microwave-related patent, 2,609,497, for a modification of the magnetron itself, really nothing to do with cooking. No other US patents were issued to the others mentioned in this timeframe. Death: March 27, 1971, Santa Barbara, California. These words are from Marvin's daughter, Wendy. My dear father, Marvin J. Bock (1914-1971) was an electrical engineer in Percy Spencer's R&D laboratory at Raytheon, and did indeed participate in the development of the microwave oven during the 1940s. Marvin was a quiet man with a profound sense of integrity. He was an engineer not a manager and was never concerned about his name being on the door. He wanted to be in his laboratory and design systems. I heard that he was very proud of the work he did developing radar equipment for battleships. Until recently I did not understand why he did not pursue his own recognition but I have come to believe that his development of the microwave oven was just not the important invention for him. He went to the World's Fair in Montreal to "present the oven to the world" and died 4 years later, not really having a sense of the importance of the oven. We had the original microwave in our garage in Needham when I was born in 1945 and I have the silver "Radarange" name plate from that oven. From what I read in articles, in 1947 Marvin was appointed head of the microwave heating laboratory at Waltham. In 1949 he was named assistant head of the radio frequency and antenna department of Raytheon's Missile Systems Laboratory at Waltham and this is where his focus turned to the Sparrow and Hawk missiles. We moved to the San Fernando Valley in 1953 and my father worked in Oxnard at Point Mugu. We moved to Santa Barbara in 1956. "Enthused Raytheon management sponsored a contest for a name for the microwave oven and the Radarange (TM) was born. Marvin Bock, who later worked with Tom Philips, today's CEO, built the first Radarange, the Model 1132, which provided an output power of 1.6 kW from one water-cooled, permanent-magnet magnetron. This is shown in Fig. 3. Note that it was a free standing white-enameled unit operating from 220 V."
Mr. Bock held five US patents, including one related to microwave heating: 2,516,503 filed December 14, 1946 and issued in July 25, 1950 and titled "Controlling Device for Cooking Apparatus". It discloses a means for shutting off microwave power when a food load is not present in a microwave cooking system, an important feature that the average user wouldn't even know about. To learn more about engineer Marvin Bock, here's an article from the Santa Barbara News Press, November 16, 1958 "Men of Science" series. Thus from four accounts, Osupchuk, the USPTO, The Santa Barbara News Press, and Marvin's daughter, we know that Marvin Bock did indeed contribute heavily to the development of the Radarange, the world's first commercially successful microwave oven. The Creative Ordeal fails to mention his name even once; as we implied before, corporate history accounts are never 100% complete and accurate. 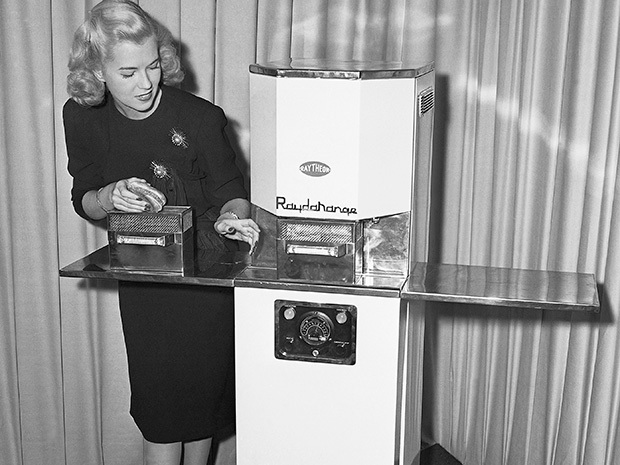 It should be noted that the microwave oven didn't become a household appliance until 1967, when Raytheon began to market a countertop version of the Radarange though its subsidiary, Amana. You can learn more about the Radarange history at Raytheon's web site history page. I came across your website and note you are missing information on a contributor to the development of microwave heating. His name is David Arthur Copson, born in Dorchester, MA in 1918. He worked at Raytheon with many of the other folks you listed, and wrote three books, two on Microwave Heating. He was head of the Microwave Heating laboratory in Raytheon (not sure which years, but I'm researching it) and developed the proper methods for heating foods using microwave technology. He holds several patents in the field. Copson was awarded four US patents for his work in the fifties and sixties. One of his interests was in using microwave energy to assist in freeze-drying, as it provides preferential warming to moist areas of the product without heating areas that are already dry. 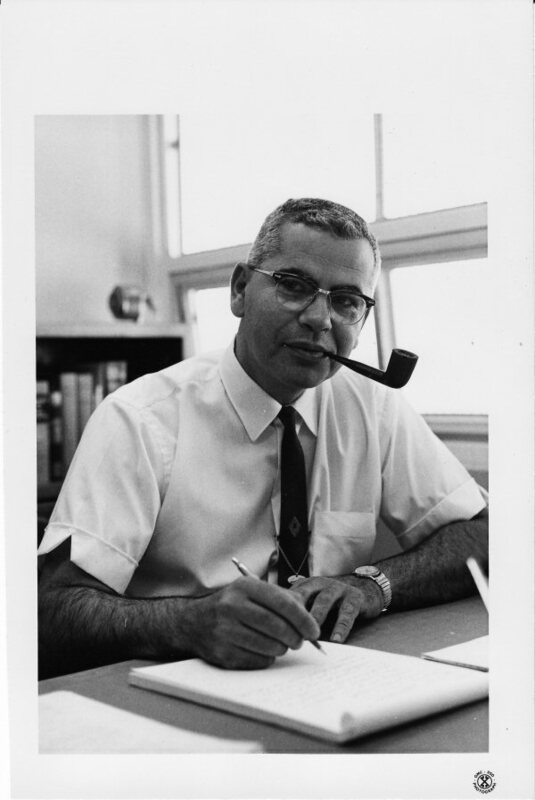 Copson was the first or only name on all of his patents, but shared one with Dr. Luther Davis Jr, who went on to become head of the Raytheon Research Division in the 1970s and 80s. Copson wrote the book Microwave Heating in 1975, and you can probably still get a used copy on Amazon. A quick Google search suggests that Copson lived from 1919 to 1999. If anyone knows more about him we will gladly post more contributed information!